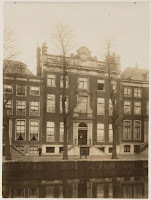 Next year, it is precisely 400 years ago that the Amsterdam city council decided to expand the city by creating canals. It is one of the very early examples of city planning and thus, the 17th century canal ring is officially listed as UNESCO world heritage site. Over time, the canal houses were the houses of rich families of merchants, bankers and slowly turned into the premises of banks. 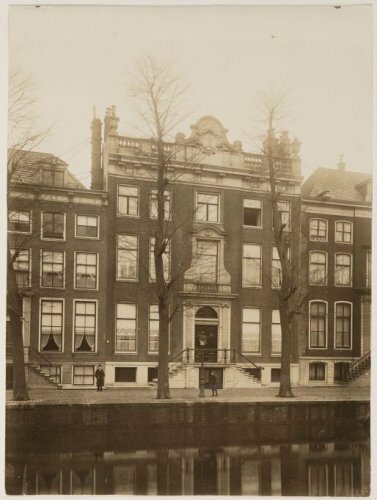 The Herengracht 548 for example, was the house of a merchant but later in its history turned into the head offices of the Nederlandse Overzeese Bank (NOB) and after the merger with Mees and Hope Bankiers: Bank Mees en Hope. Of course these head offices at the canals were something of a status symbol. But at the same time, the architects in the 1970s didn't hesitate to redesign a lot of the interior of the building, in order for the bank to be representative but productive as well. This weekend I could take a look myself as the new owner: Waldorf Astoria, opened its premises during the Open Monuments Day. 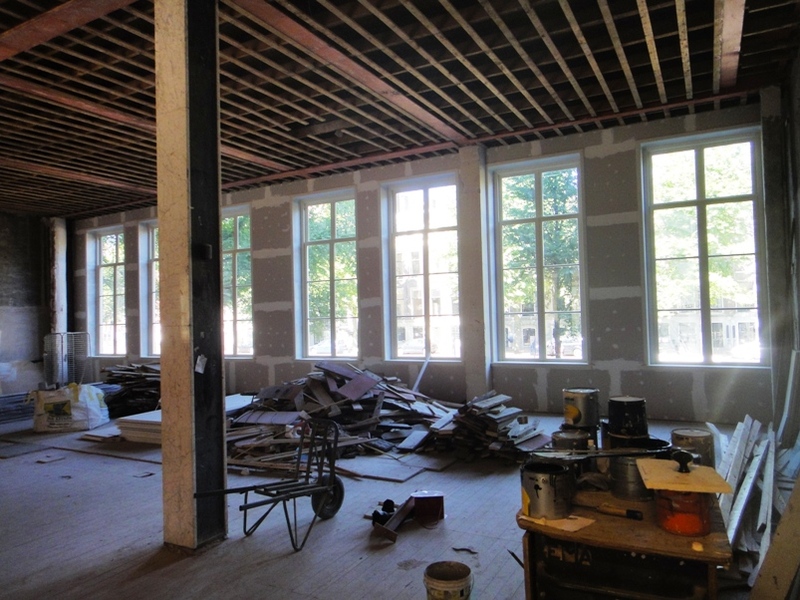 And so I could have a sneak preview from within a building that's still being renovated, that I am happy to share with you. 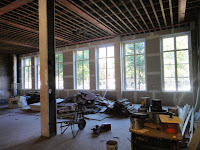 Have a look at: the green and beautiful garden (under which we find a parking garage), some marble pillars from the 1970s, the vault, still with safe deposits (which will become a bar), the period room, the beautiful hallway with sculptures and last but not least: the future front door of the Waldorf Astoria. Click here to e-mail me or here to subscribe to the newsletter.